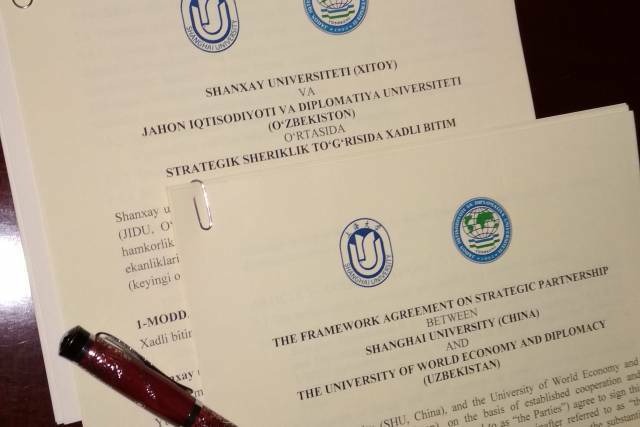 On 27th December 2017, the University of World Economy and Diplomacy has signed a Framework Agreement on Strategic Partnership with Shanghai University (China) to establish Shanghai School of International Business (SIBS@UWED). 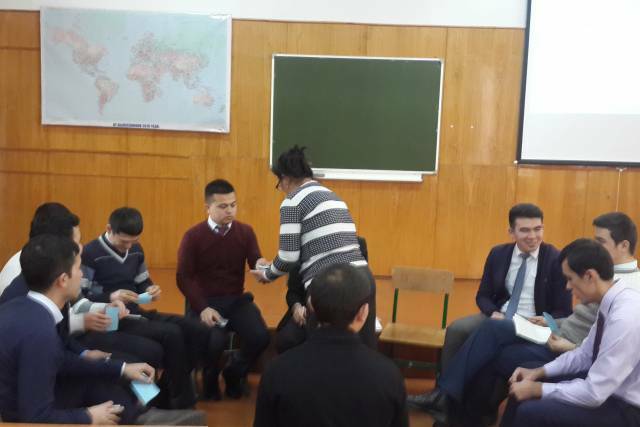 On December 23, 2017 a training dedicated to the study of individual personality traits was held in the club of youth initiatives “Insight club” with the participation of students of the faculty of “International Relations”. 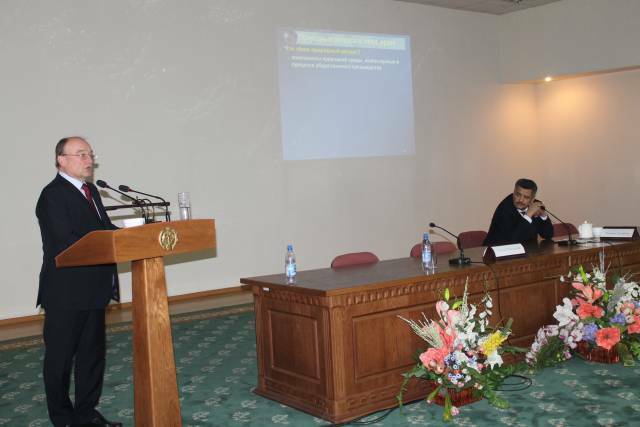 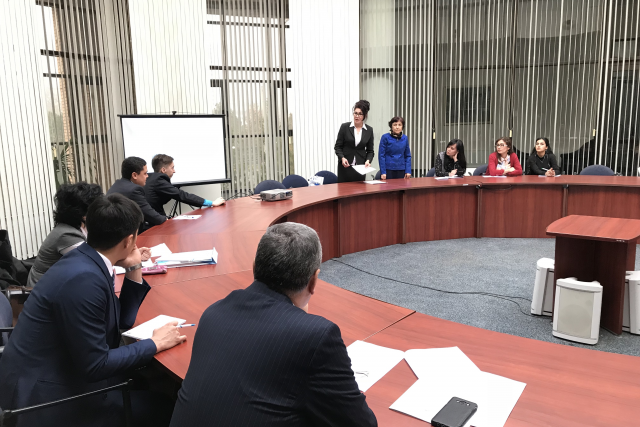 On December 20, 2017 the Institute of Forecasting and Macroeconomic Research hosted the 9th Forum of Economists of Uzbekistan. 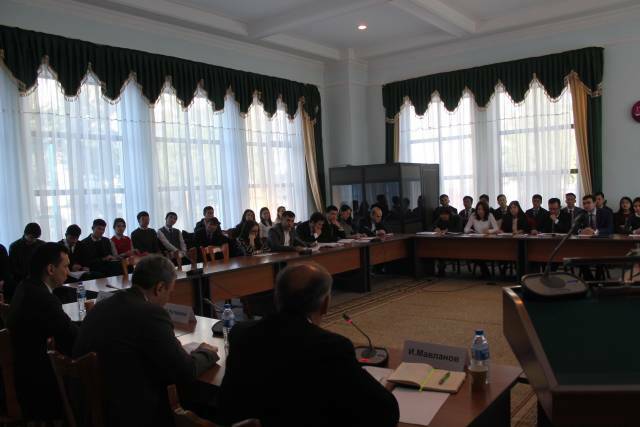 The theme of the Forum is “Ways and mechanisms for further development and liberalization of the economy in the frame of the implementation of Uzbekistan’s Development Strategy on five priority areas for 2017-2021 years”. 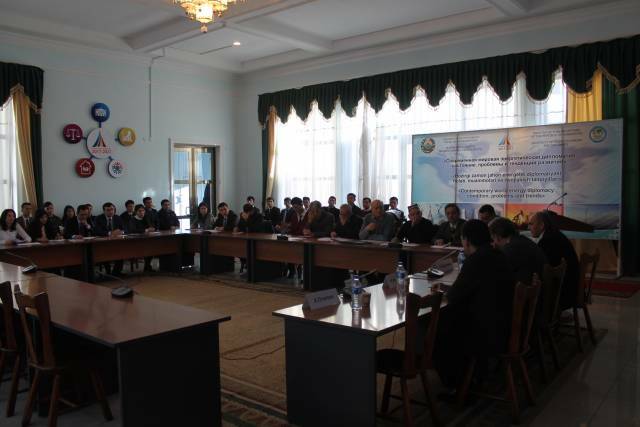 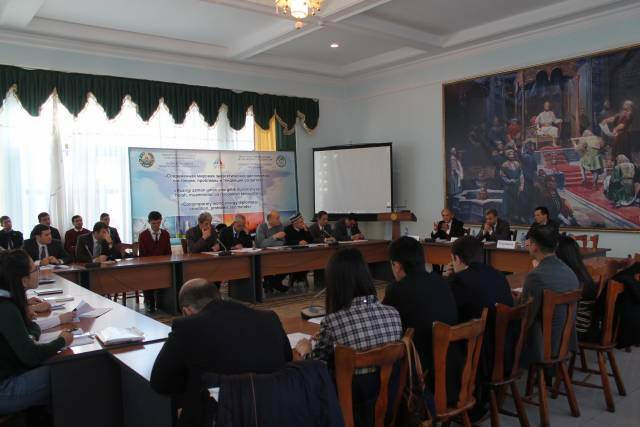 On December 23, 2017, UWED hosted the republican workshop on topic “Contemporary world energy diplomacy: condition, problems and trends in Central Asia”. 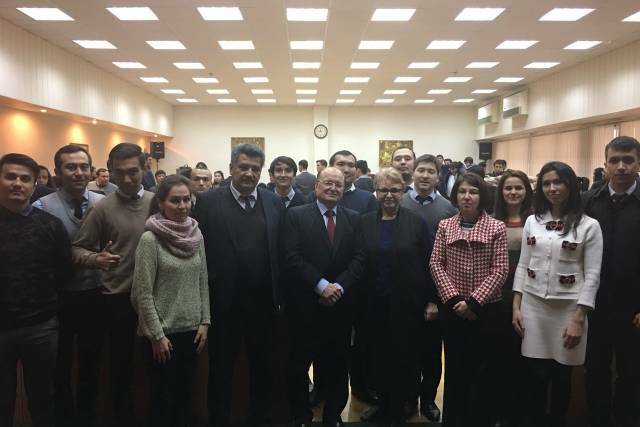 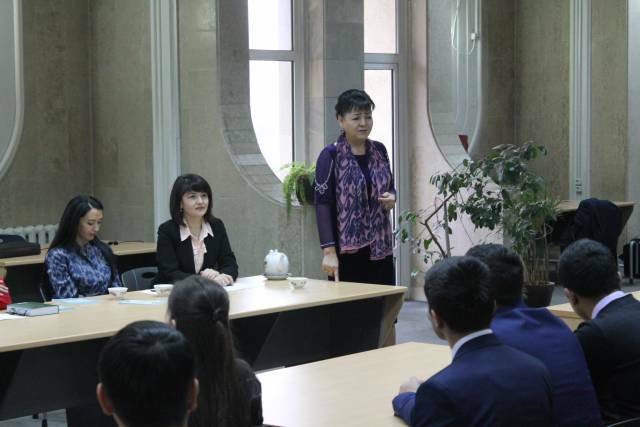 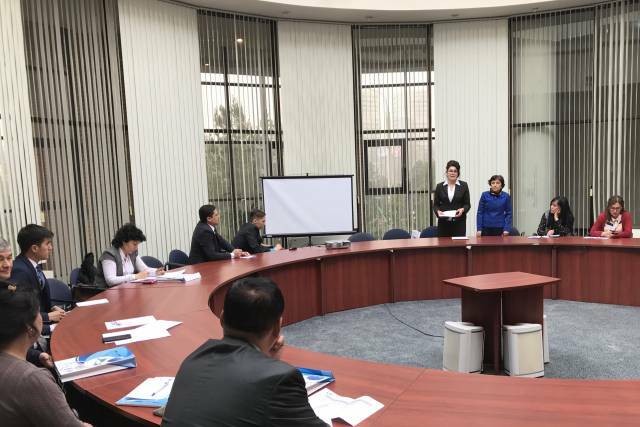 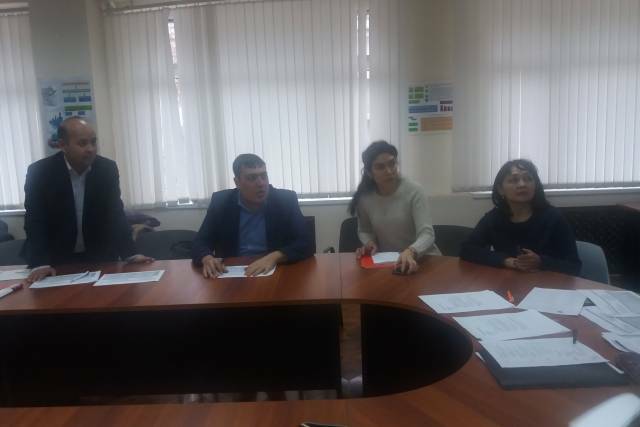 Celebration of the Constitution of the Republic of Uzbekistan continues at the chair of "State construction and law", faculty of "International law" of UWED! 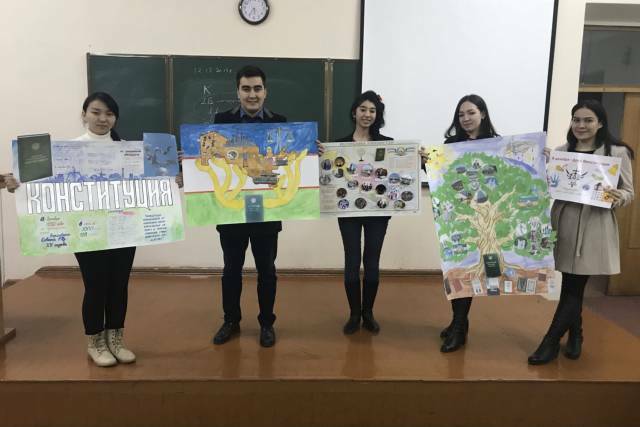 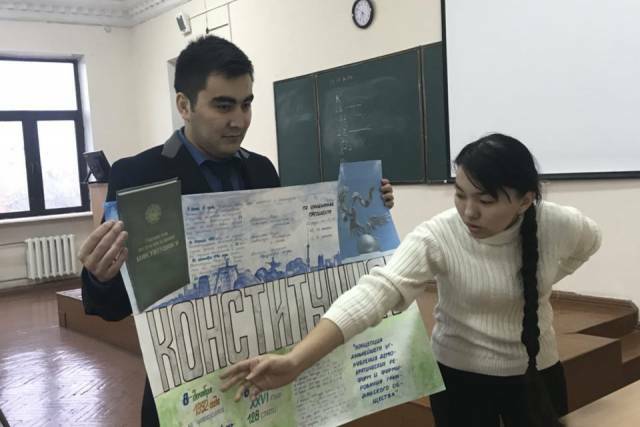 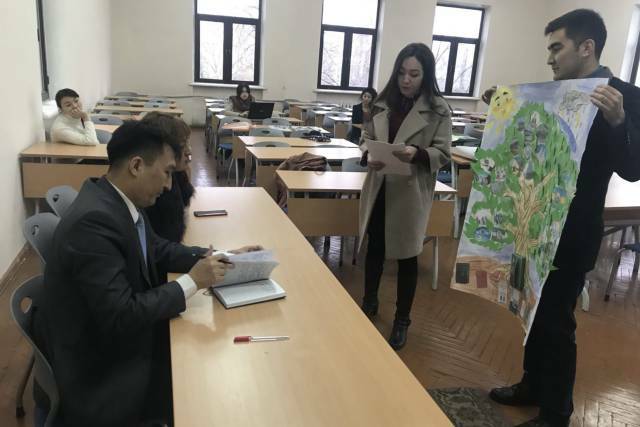 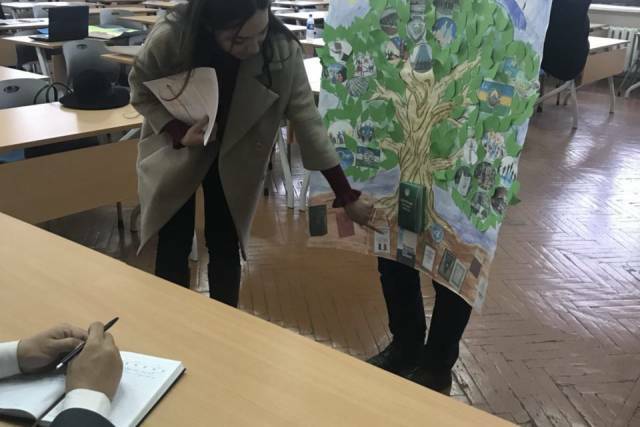 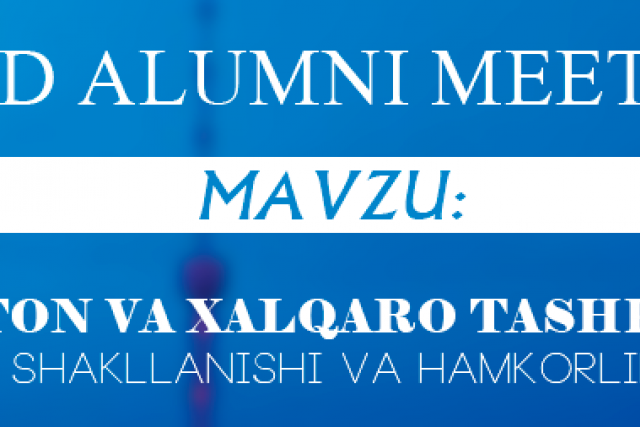 On December 12, 2017 the faculty of "International law" organized a competition for the best poster dedicated to the 25th anniversary of the Constitution of the Republic of Uzbekistan. 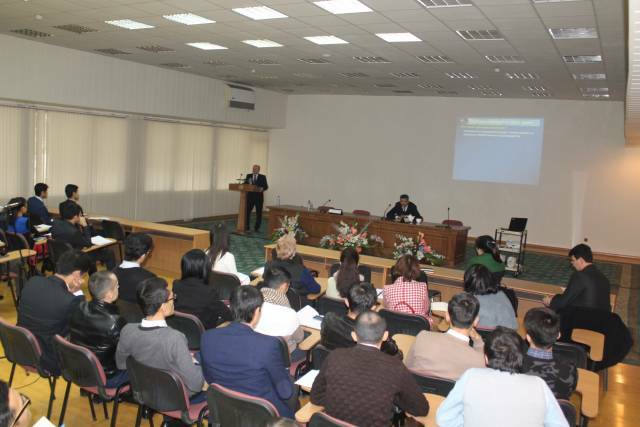 Second-year students of the faculty participated in the event. 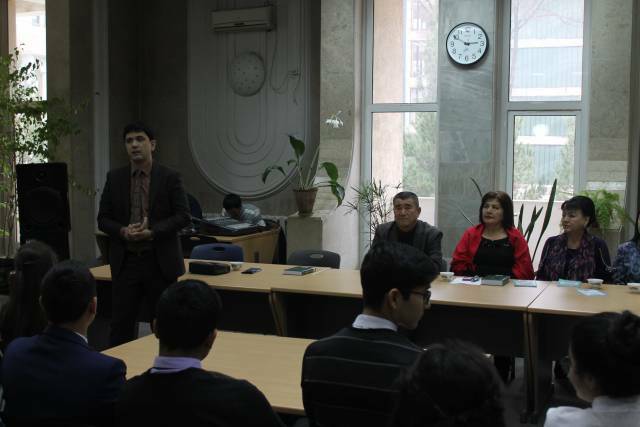 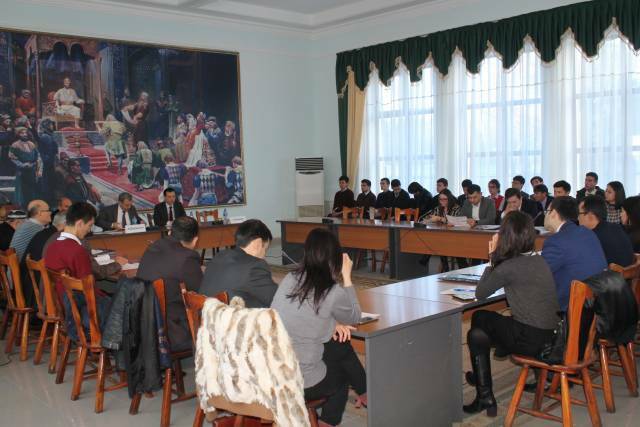 The university held a spiritual and educational event under the slogan "We will build our great future together with the brave and noble people"
On December 21, the University Information and Resource Center hosted a spiritual and educational event dedicated to the book by the President of the Republic of Uzbekistan Sh.M. 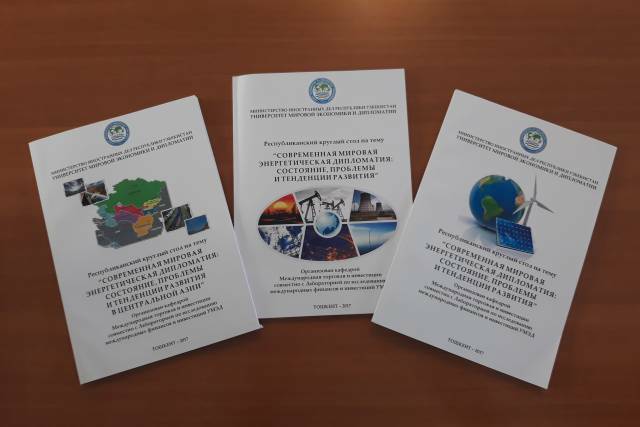 Mirziyoyev "We will build our great future together with a brave and noble people." 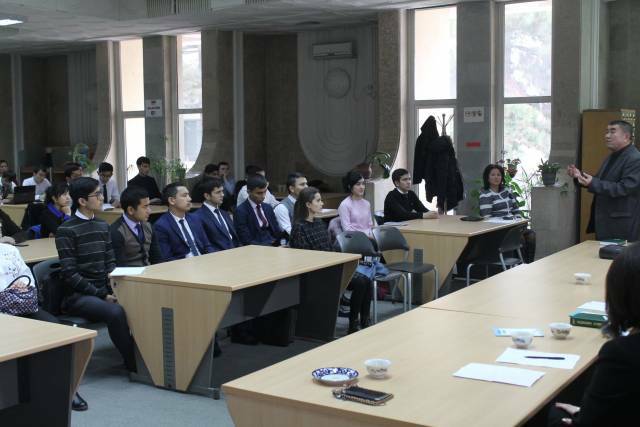 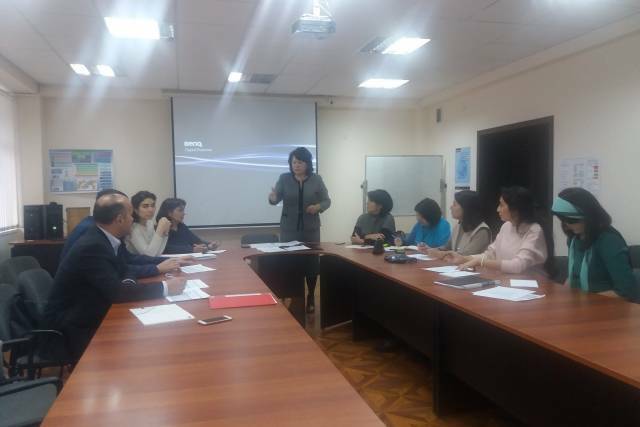 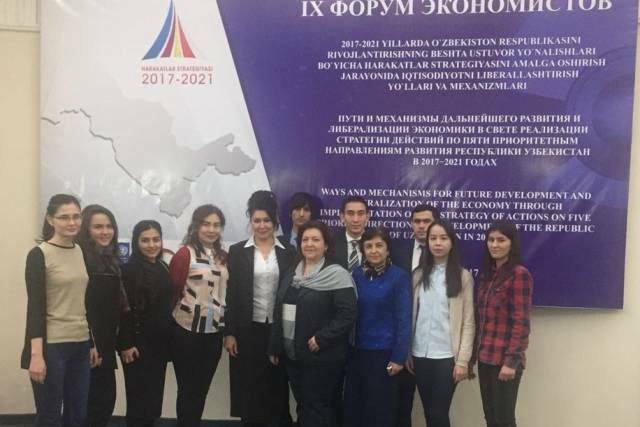 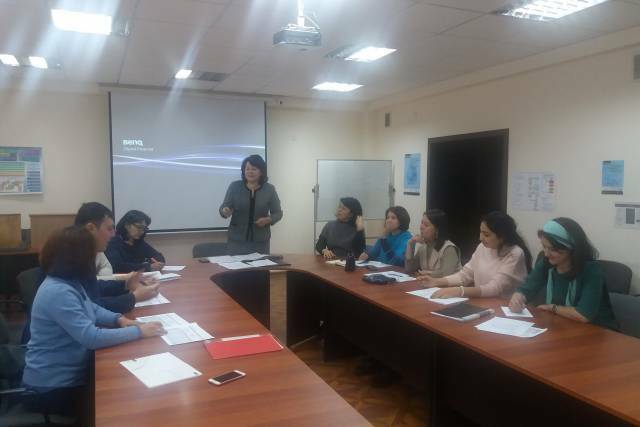 On December 20, 2017 the university held a meeting of the students with graduates of the UWED within the framework of "UWED ALUMNI MEETINGS", the project of the Club of Young Entrepreneurs "Start-up", UWED Alumni and the Union of Youth. 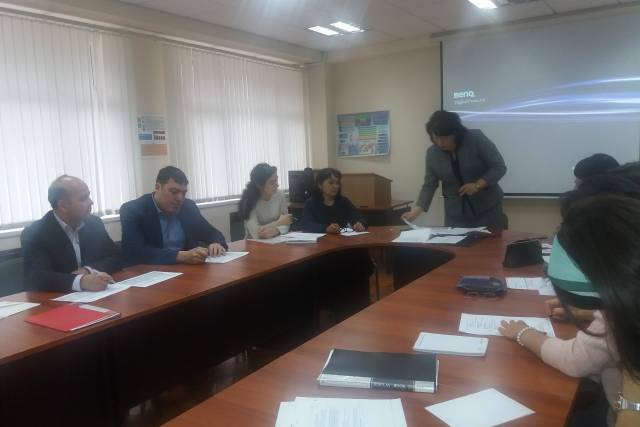 In the frame of IMEP ERASMUS+ project UWED has arranged trainings for subject area teachers of 3 faculties, International Economic Relations, International Relations and International Law. 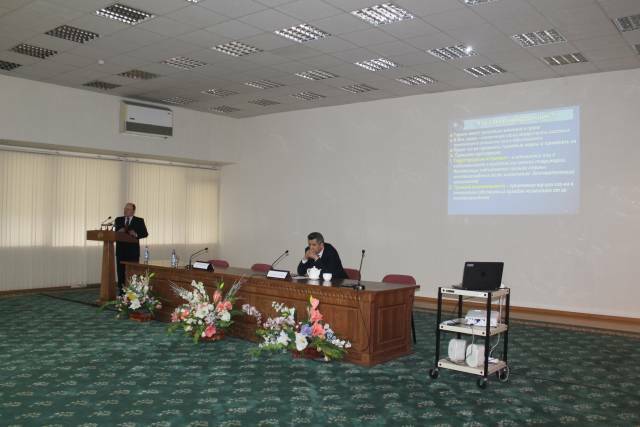 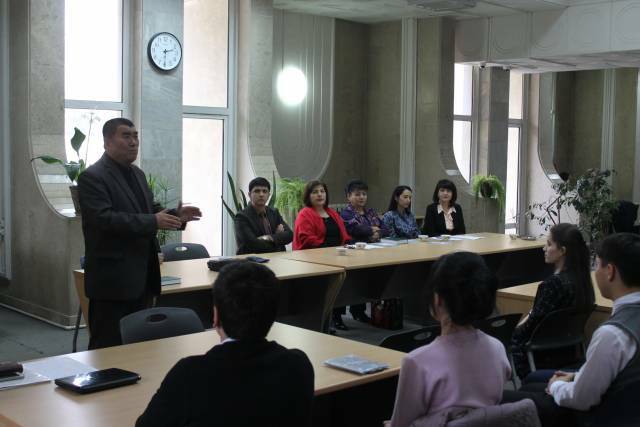 A guest lecture on "International Law and Natural Resources"
On December 20, 2017, the University of World Economy and Diplomacy hosted a guest lecture on "International Law and Natural Resources" delivered by Dr. Sergey Vinogradov, a world-renowned expert on international water law, professor of Moscow State University and Dundee University (United Kingdom). 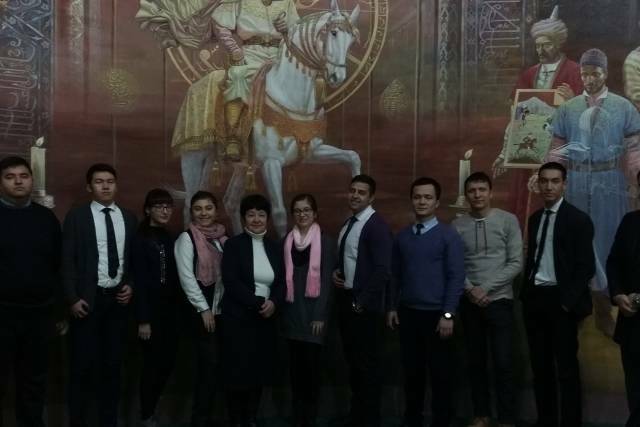 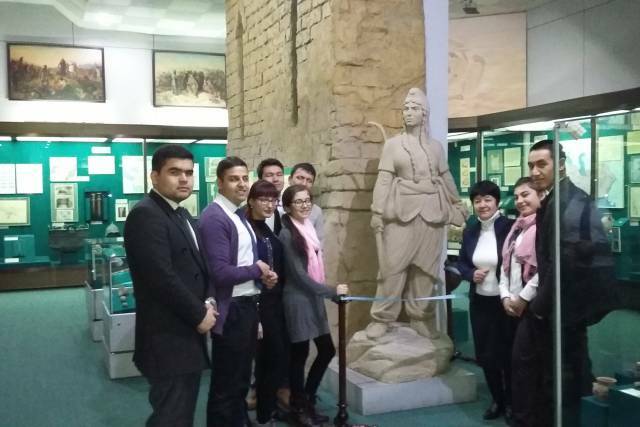 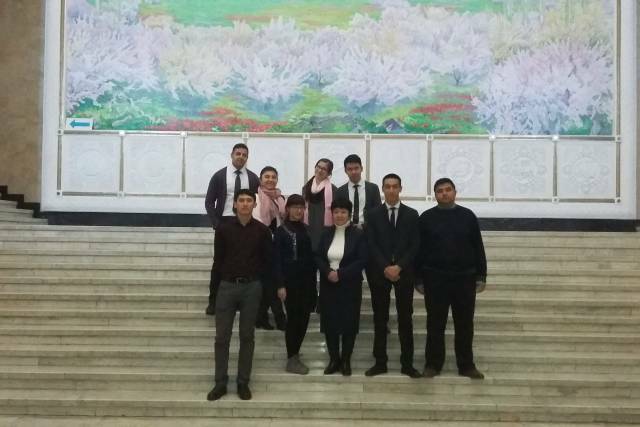 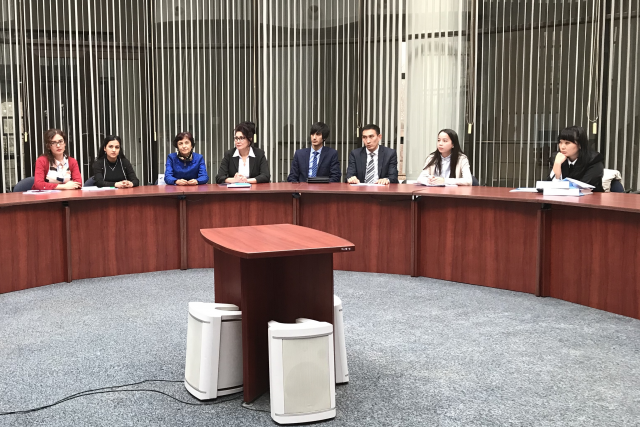 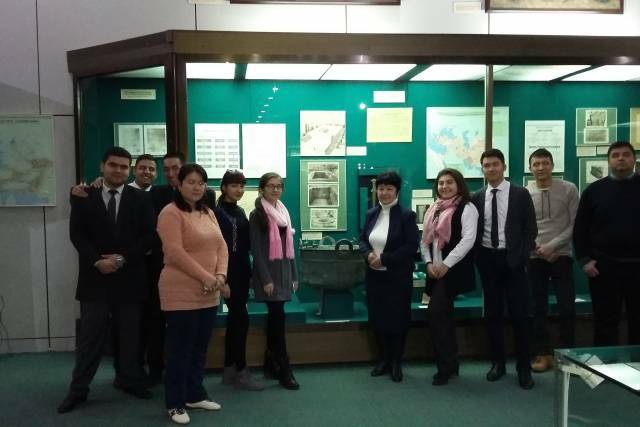 On December 19, 2017 a visiting seminar to the State Museum of History of Nations of Uzbekistan was held for the second-year students of International Relations Department.